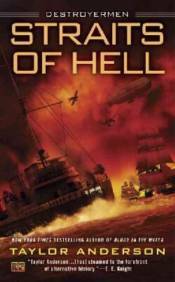 Transported to an alternate version of earth where WWII no longer rages, Matt Reddy and the crew of the Asiatic Fleet destroyer USS Walker have been trying to find their place in a strange new world�only to now face a game-changing conspiracy. Reddy and his crew fight alongside the felinoid Lemurians and Imperial allies to keep the reptilian Grik, a race growing in supremacy, from reconquering the Lemurians� ancestral home on Madagascar. But exhausted, far from reinforcements, and wildly outnumbered, the odds seem greater than ever before. As for the fate of the Americas, Don Hernan and the evil Dominion have gathered to annihilate the forces behind the walls of Fort Defiance as a shadowy power with an agenda all its own rises with chilling resolve. As the war teeters on a knife-edge, a tipping point may have been reached at last�and cold steel and hot-blooded valor will remain the ultimate weapons.